Half a year before the release! 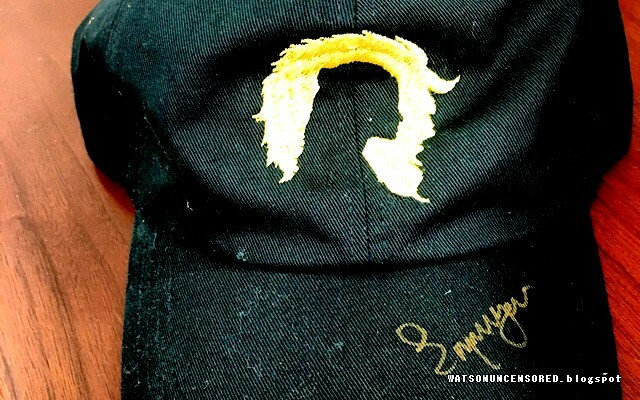 Below is the logo of 'Beauty and the Beast' on a cap signed by Emma for 'Caps for Kids'. 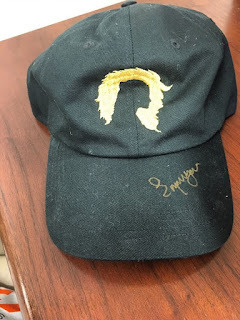 Their mission is "to provide every child that is diagnosed and undergoing treatment for cancer or receiving chemotherapy to treat other life threatening illnesses a cap autographed by the athlete, entertainer or other notable celebrity of their choice." The diamond edition of Disney's original 'Beauty and the Beast' has finally been released. I haven't found any video with Emma, but some people made gifs. The moment of the second gif was Emma recording a song, but people who bought the Blu-ray told me you can't hear her sing, you can only see her. Paige O’Hara, who voiced the kindhearted, book-loving Disney princess in the animated movie, hasn’t met Emma Watson, but she told me, “I can’t wait to meet her,” when I interviewed the Disney icon last week. Most of my chat with her was about the 1991 film for its 25th anniversary but we also looked forward to the upcoming live-action movie. “She’s perfect casting,” O’Hara gushed about the Harry Potter alum. 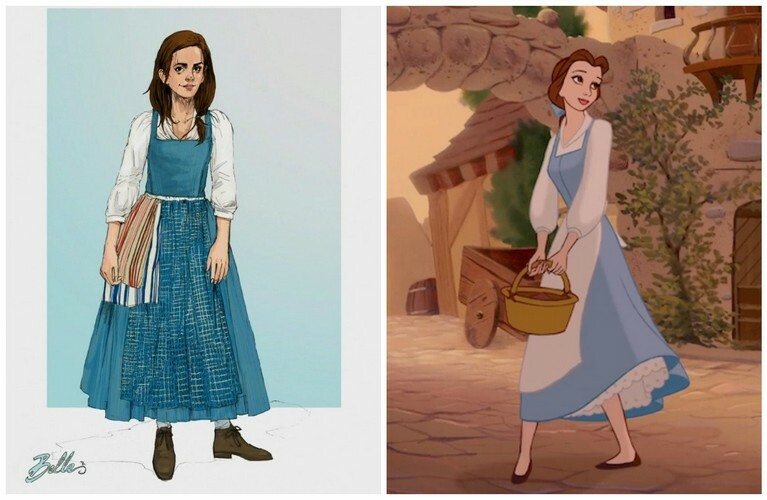 Watson got her predecessor’s stamp of approval earlier this year when O’Hara told BuzzFeed, “She’s got the outward beauty, but she’s also got an inward beauty about her, and an old soul.” I just had to ask O’Hara if she has any advice for Watson as she’s gearing for Beauty and the Beast’s release.